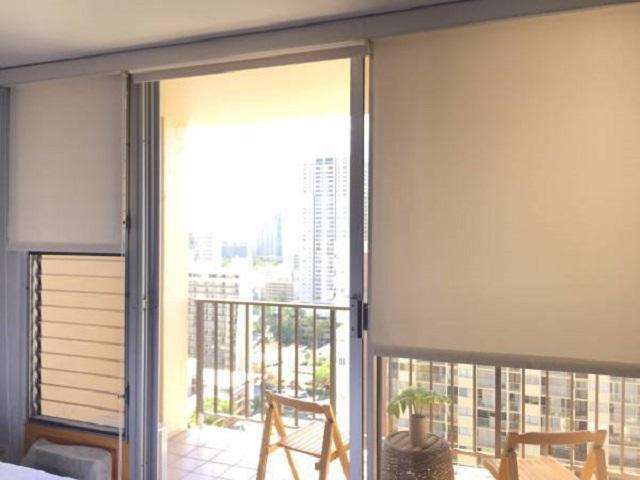 Complete Kitchen with Upgraded cabinets and appliances Beautiful Views over the Ala Wai Canal and Golf Course Waikiki City View with Partial Ocean View Washer and Dryer in the Unit Bathroom with High End Toto Toilet Tub and Shower Great storage space for your things Pool on the Rooftop Deck Great for tanning or relaxing in the island sun! 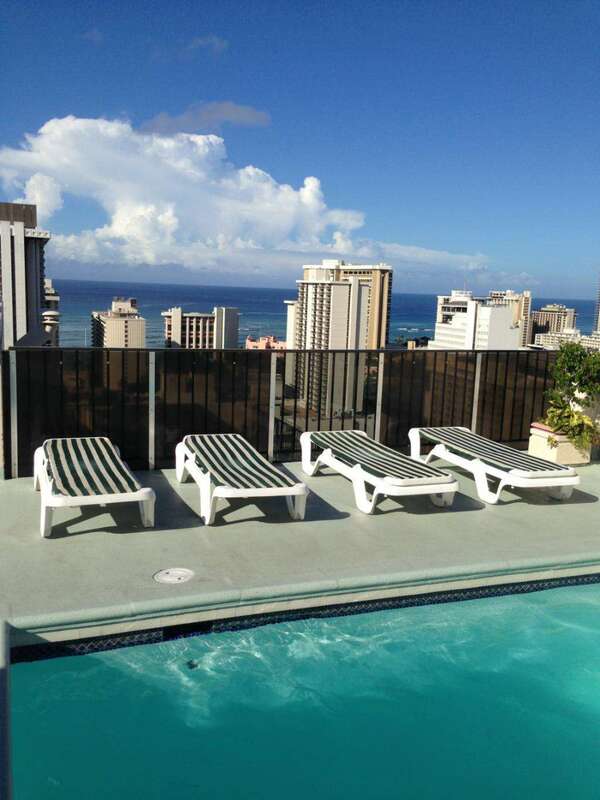 Rooftop seating with Diamondhead Views Rooftop Barbeques and Picnic Tables Lobby View of the Fairway Villas View of the Fairway Villas A gorgeous double rainbow view just outside! 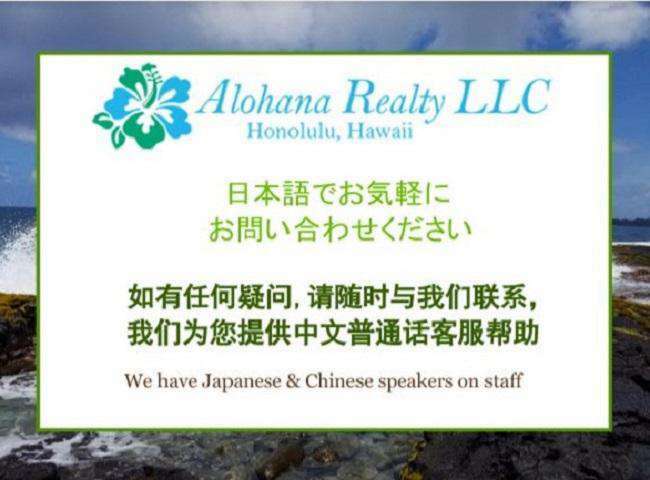 Walking/Jogging path along the water We have Japanese & Chinese Speakers on Staff! 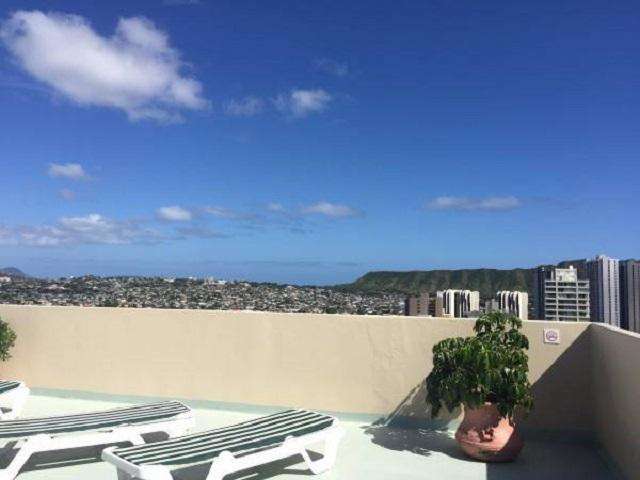 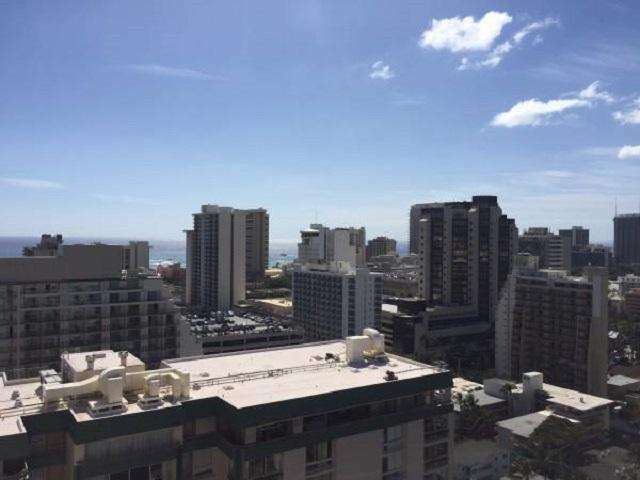 Enjoy all Waikiki has to offer from this incredible 25th floor luxury studio located in the heart of Waikiki! 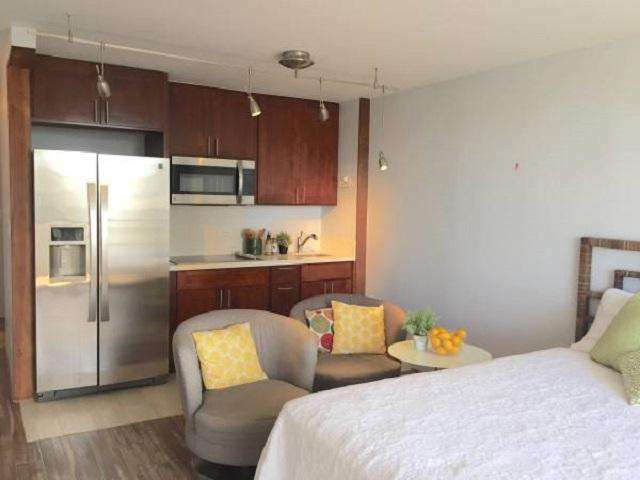 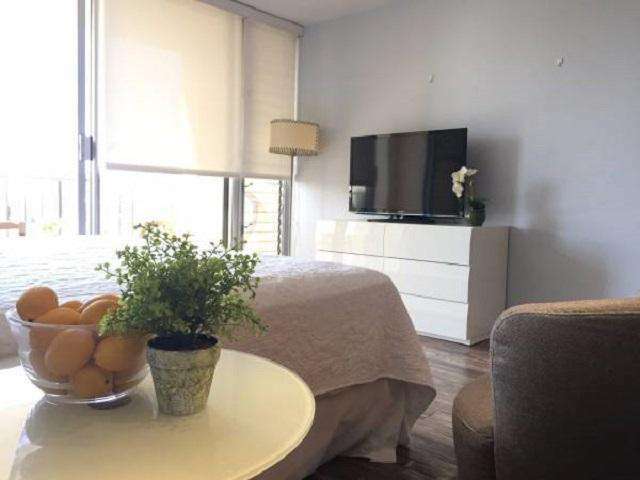 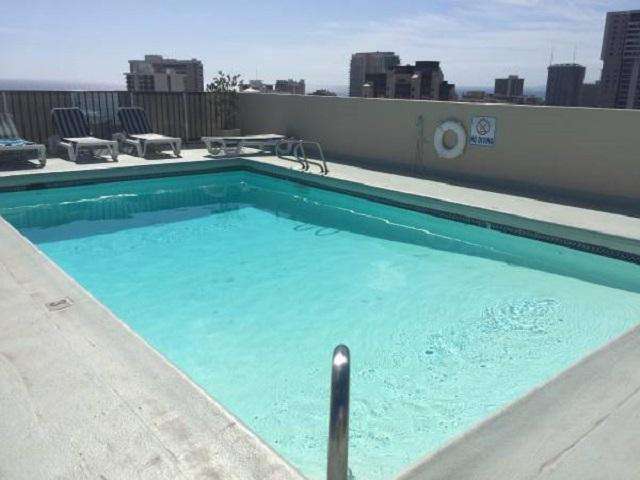 Fairway Villa 2510 - on the 25th floor - Studio - Free Wifi, TV & Parking - this luxury studio is perfectly located and equipped with everything to be your home away from home. 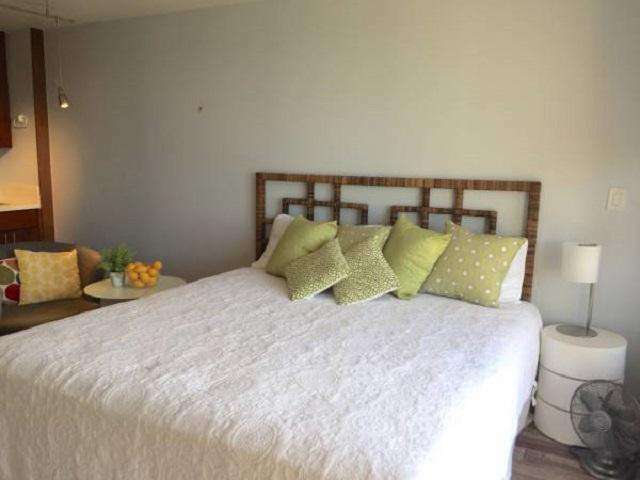 Studio sleeps two people with one king size bed. 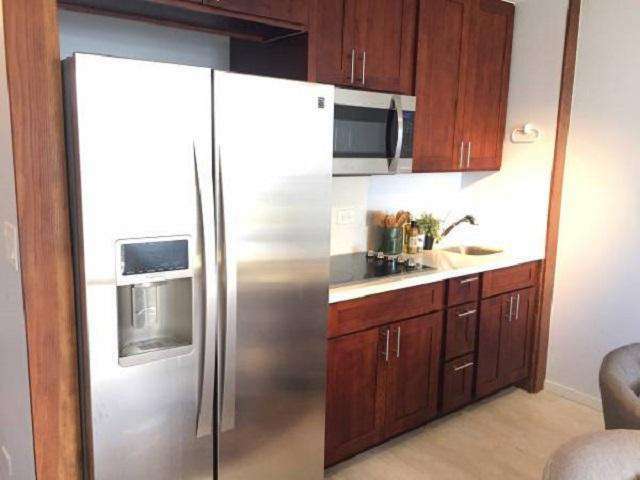 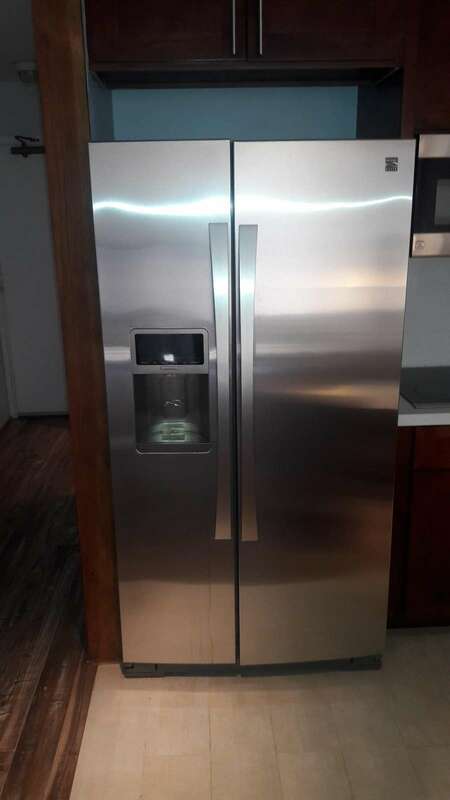 Kitchen with full-size refrigerator, microwave, stove, coffee maker, toaster, and all the basic cookware and utensils. 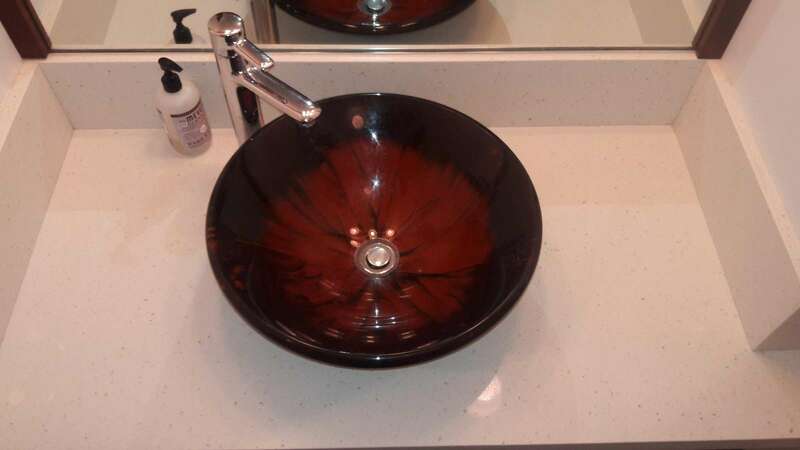 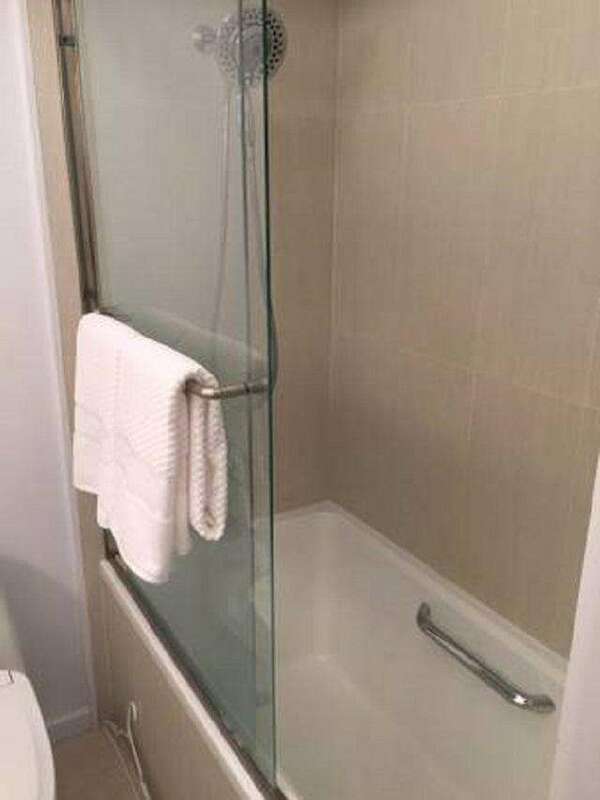 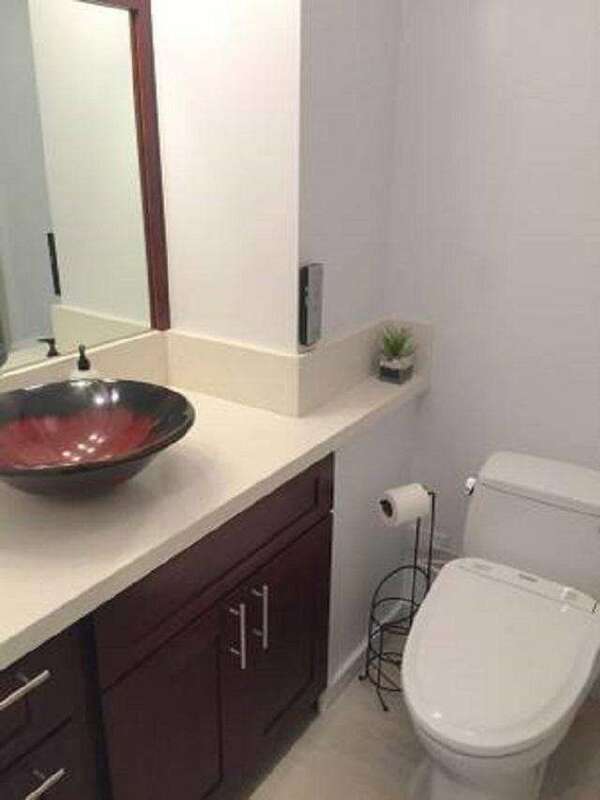 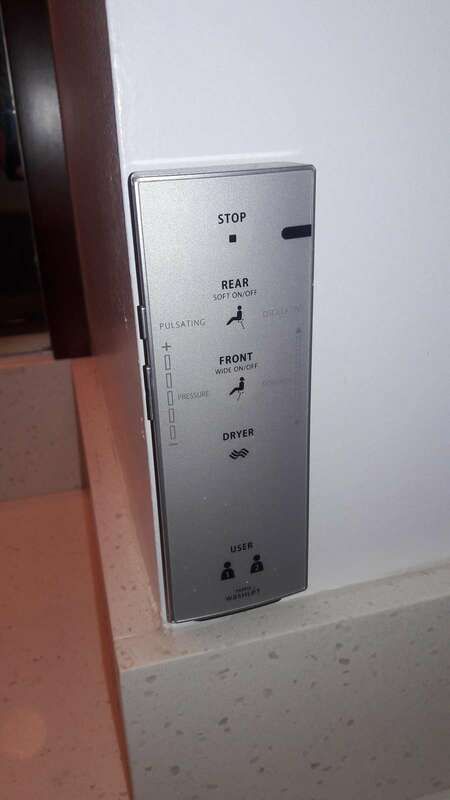 Full bathroom with luxury Toto washlet toilet, extra deep tub with hand-held shower wand, and vessel sink. 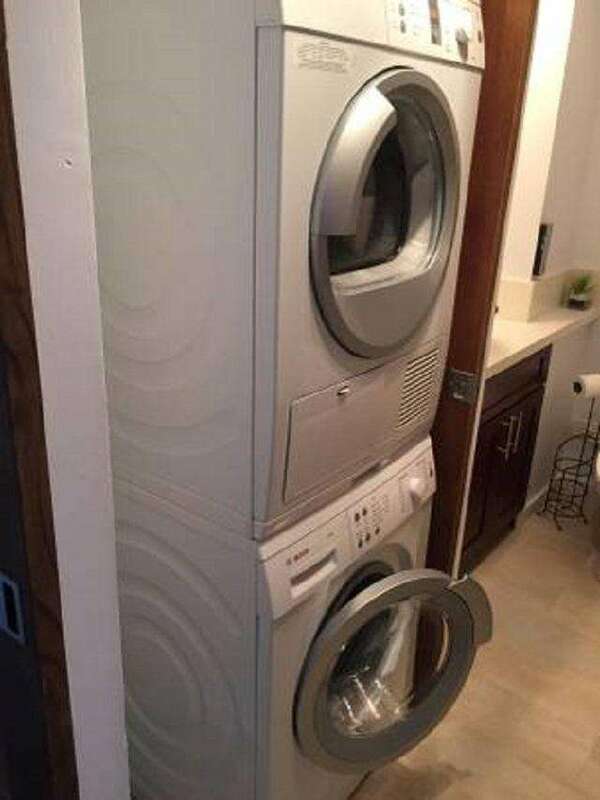 Full-size stackable washer and dryer in the suite. 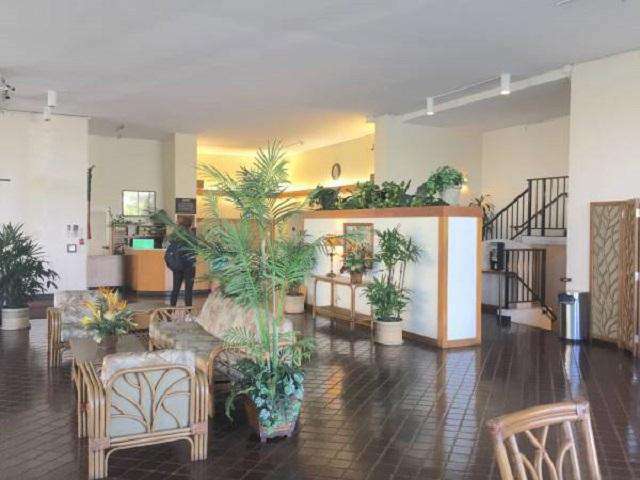 Air conditioning, flat screen TV, and high-speed internet (Wifi). 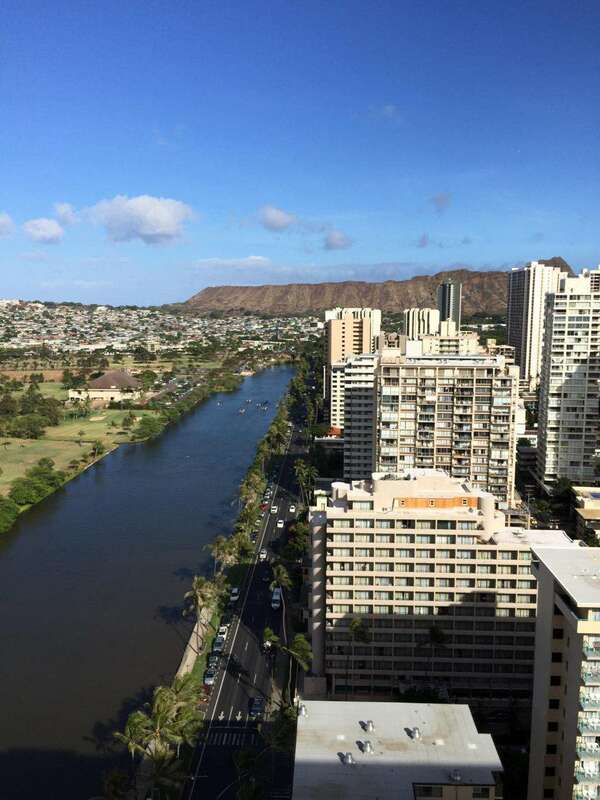 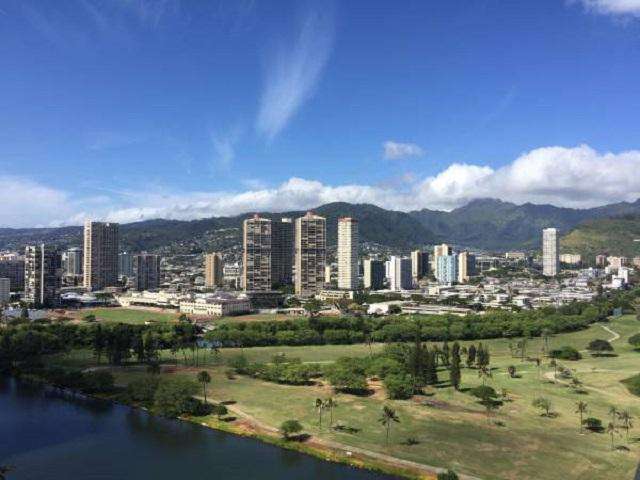 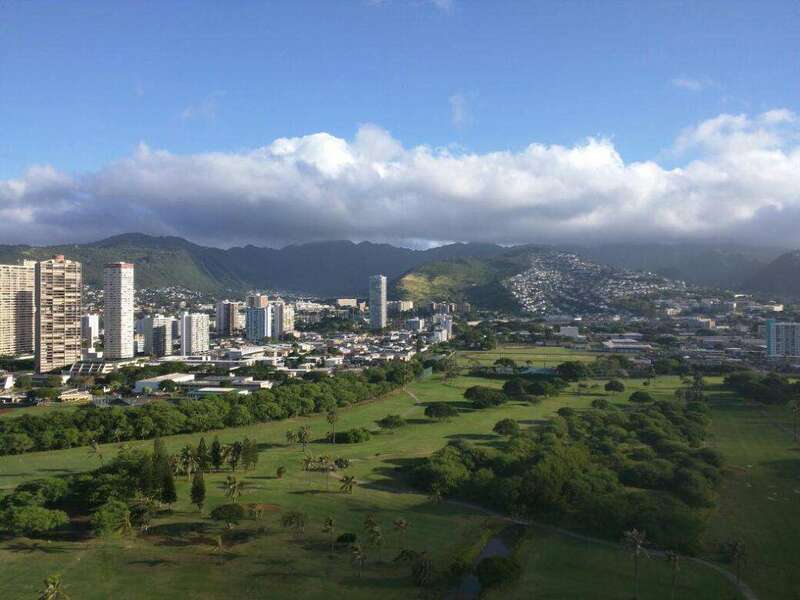 Enjoy views over the Ala Wai and golf course, and city views of Waikiki with a partial ocean view all from your private balcony. 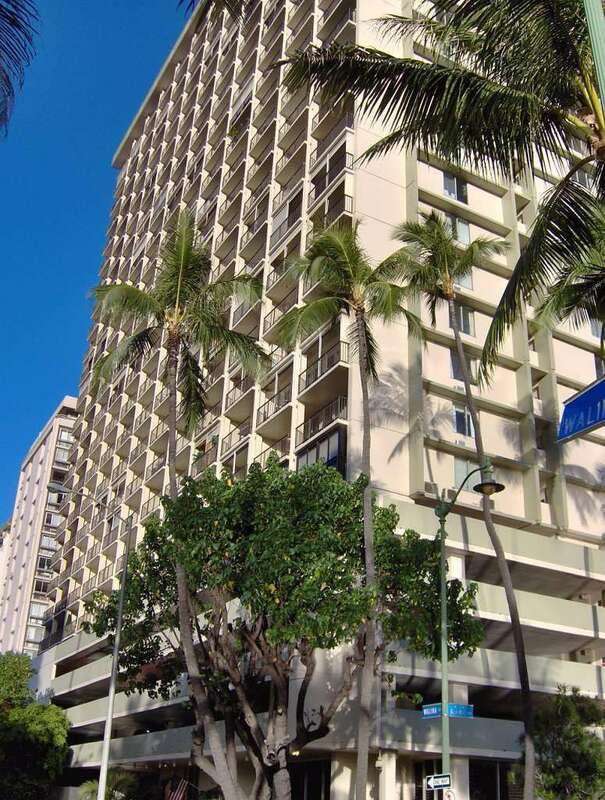 Fairway Villa is a luxury high-rise condo in the center of Waikiki, gated with 24-hour security. 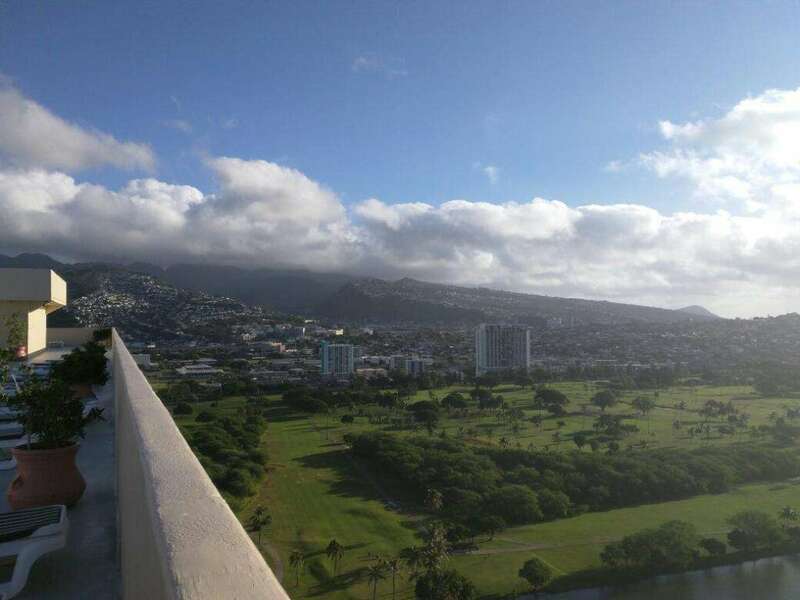 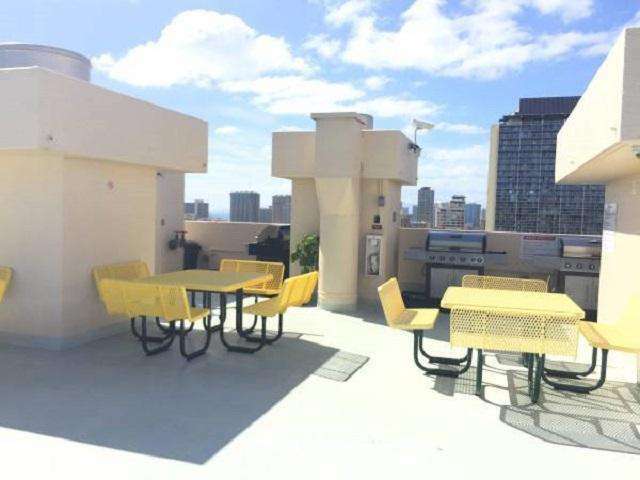 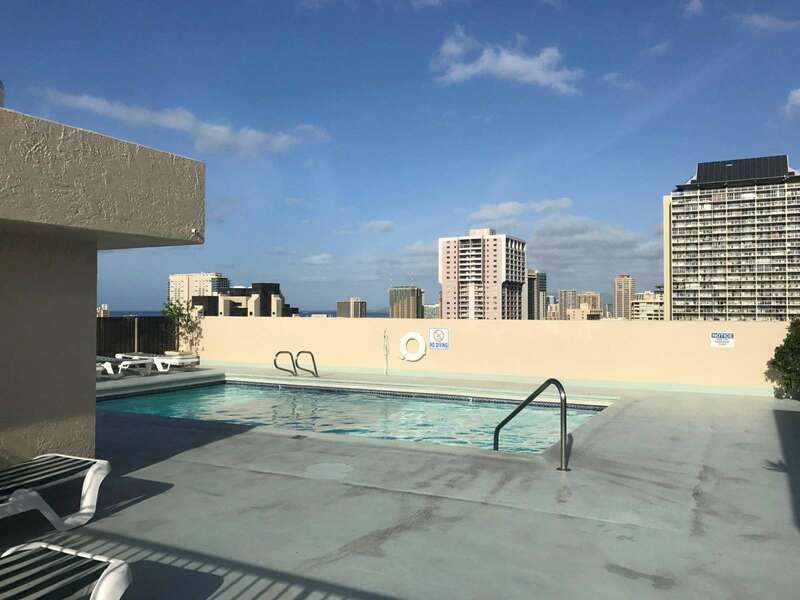 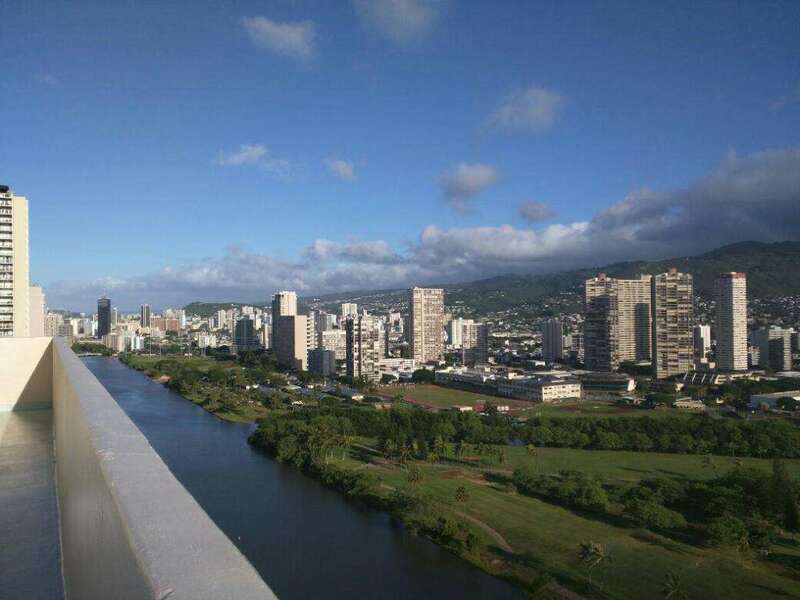 Enjoy the rooftop recreation deck with pool, jacuzzi, sauna, gas barbeque grills, and sweeping 360-degree views of Waikiki, the Ko'olau Mountains, and the Pacific Ocean. 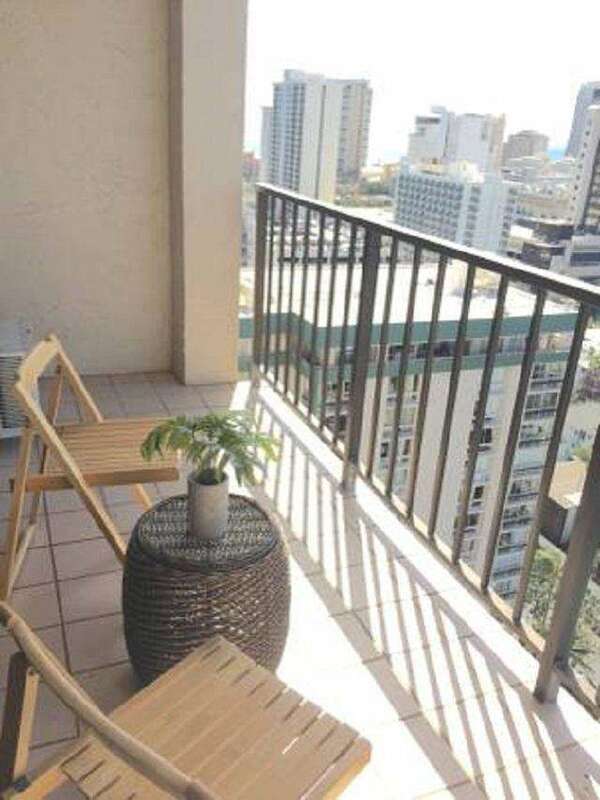 Kick back as you enjoy the sunset or enjoy the easy walk to the beach, shops, restaurants, and supermarket! 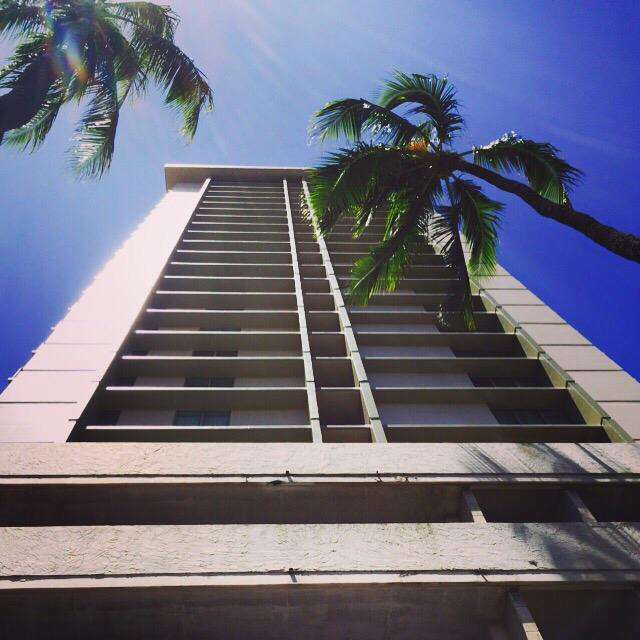 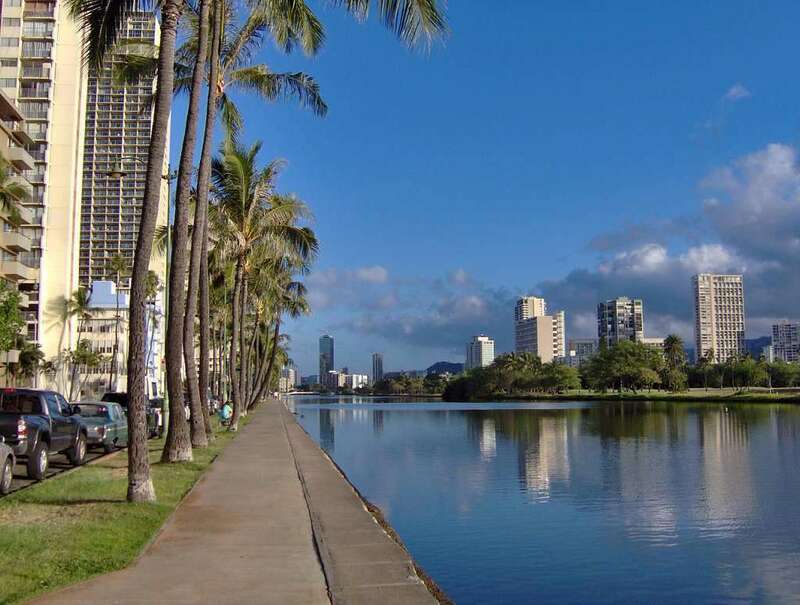 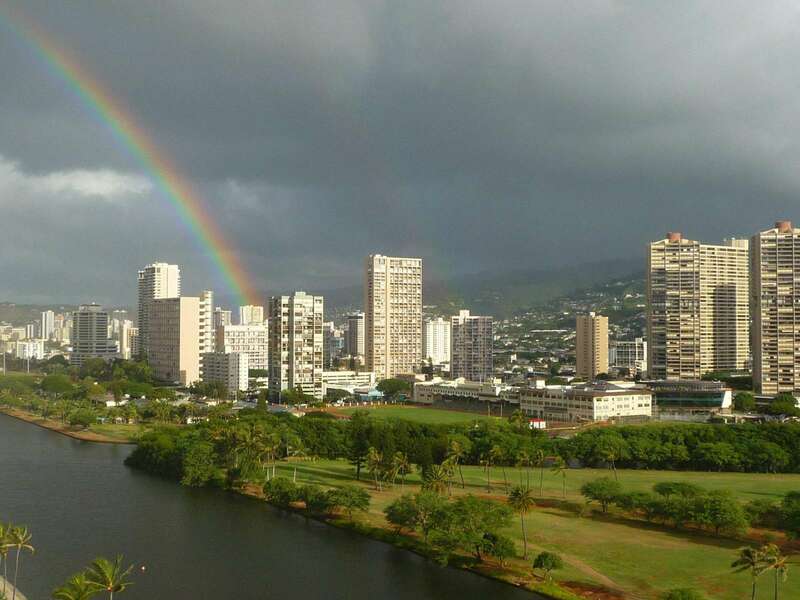 Just a few blocks from Waikiki beach with numerous opportunities for eating, shopping, and other fun - all within walking distance. 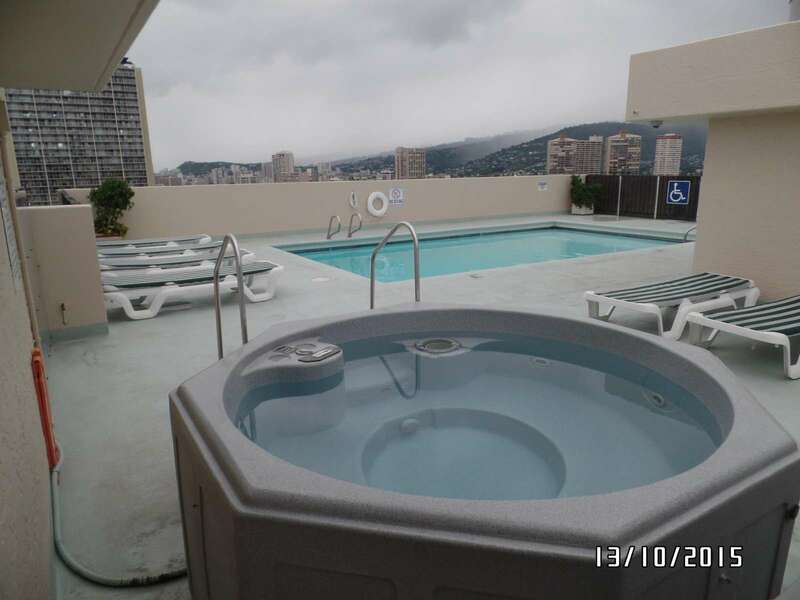 Perfect location for your perfect vacation! 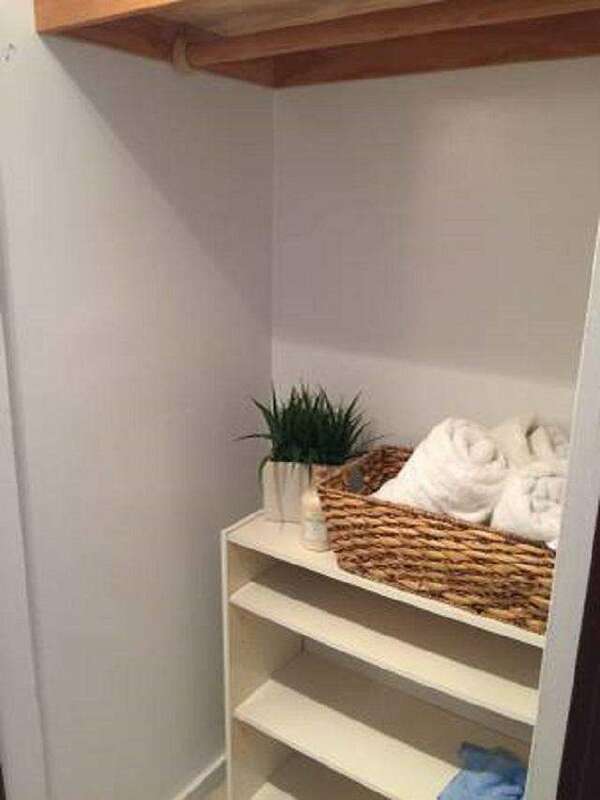 FREE PARKING - one dedicated parking stall included with rental. 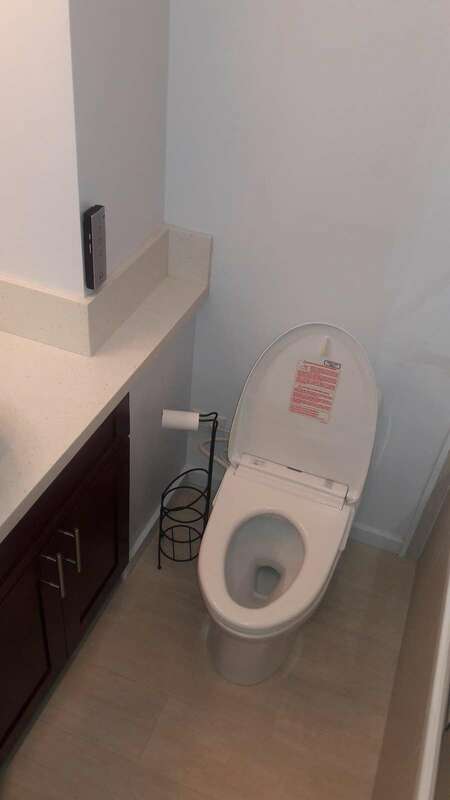 FREE WIFI - dedicated high-speed internet with router in the suite.